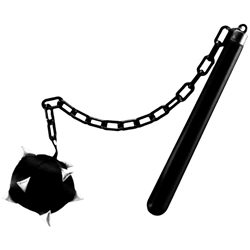 A soft fiber filled ball attached to a plastic stick and chain. Good for any medieval based show, Once Upon a Mattress, Camelot, MacBeth, etc. Also great for medieval knights or crusaders.